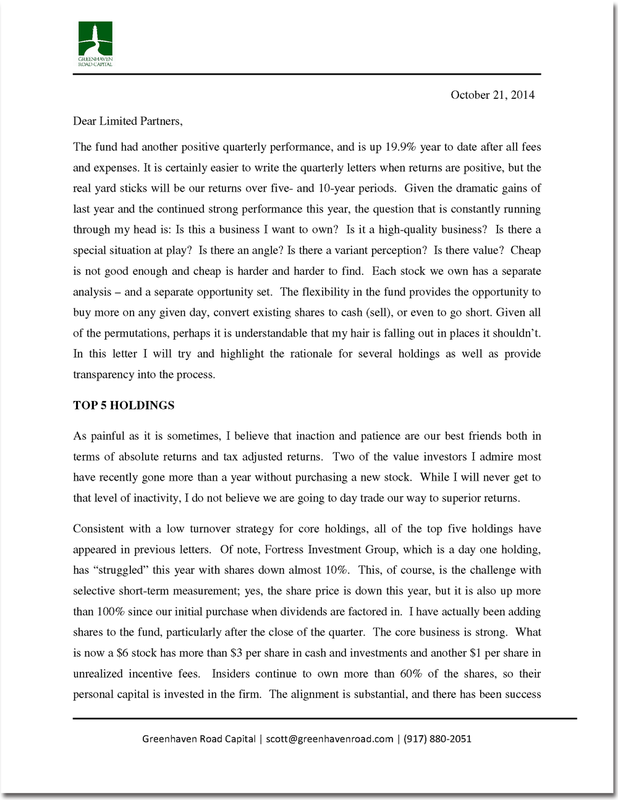 The investor letters outline the fund’s top holdings as well as highlight a recent investment or a current holding. The letters provide an overview of the holdings and the thought process behind specific investments. 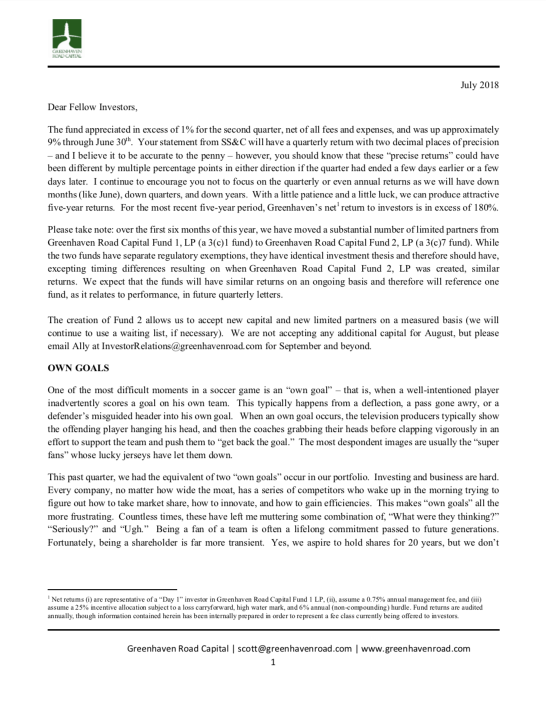 The letters are one of the best ways to conduct diligence on the fund. To learn more about the fund, or for a complete set of letters please click to – contact us.